The Shenmue I & II rerelease has a new trailer to go along with preorders. The rerelease is slated for August 21st, 2018. While many outlets refer to this collection as a remaster, it’s not. It’s a rerelease that exists somewhere between a port and a full remaster. There are notable improvements such as the game running in 1080p with wide-screen support and better load times. Still, this isn’t a remaster of the game. Instead, these are improvements that simply weren’t technologically possible when Shenmue I & II were released (which could arguably be called a remaster, but the company is not referring to it as such). The gameplay for this will be in widescreen, however, I’m sure you’ve noticed [in] the trailers… every once in a while it goes down to 4:3. Well, the reason for that is simple. That’s the cutscene. The problem with Shenmue is it was the first open world game [and] was built from an engine they had to invent. [In terms of its programming] it’s a very complicated game…[S]ome of the original assets, like the cutscenes, were just made in 4:3. There is no way to add additional scenery to it. Where as, with the game[play], at least, you can actually get away with that. Additional technological challenges are what make these games impossible to truly remaster. But considering all these challenges, Koralik reminds us that it’s a marvel the game is getting a rerelease at all. Koralik also points out that the audio will be the original audio from both the Dreamcast and Xbox versions. Fans can expect the game to run at 30fps on PS4 and Xbox One consoles with no word on the PC frame rate yet. And an additional feature added to the game allows you to save anywhere, rather than having to run back to Ryo’s house. 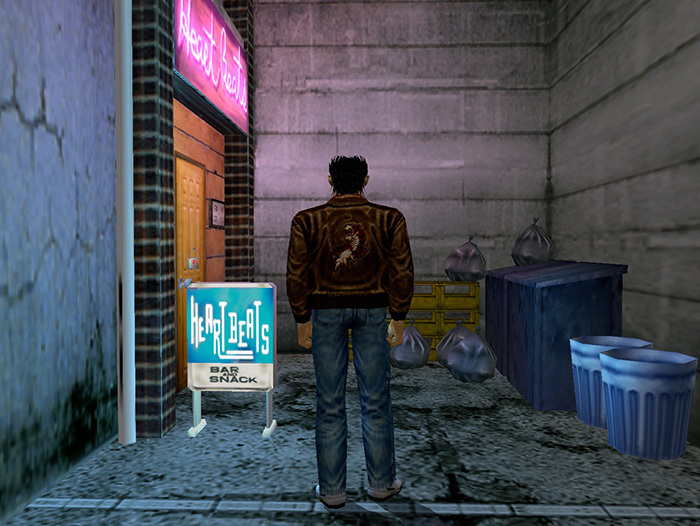 Shenmue I & II has dual language support of both the original Japanese and the English dub, catering to all player preferences. Near the beginning of Koralik’s video he speaks excitedly about the Shenmue community taking to Twitter, posting about their collections, and asking others to do the same. He then adds, “there’s a very good reason why we want [fans to post their collections with the #Shenmue].” So if you’re a diehard Shenmue fan, you just might want to take him up on that. Who knows what surprises Sega has in store. I don’t think there’s a more credible source on Shenmue than Adam Koralik, official Sega bae. The Shenmue I & II Rerelease comes out August 21st, will cost $29.99 and is available on PS4, Xbox One, and Steam with a 10% discount if you preorder. All physical versions of the game will come with a double sided Shenmue poster, regardless of where you buy it from or whether or not you preorder.